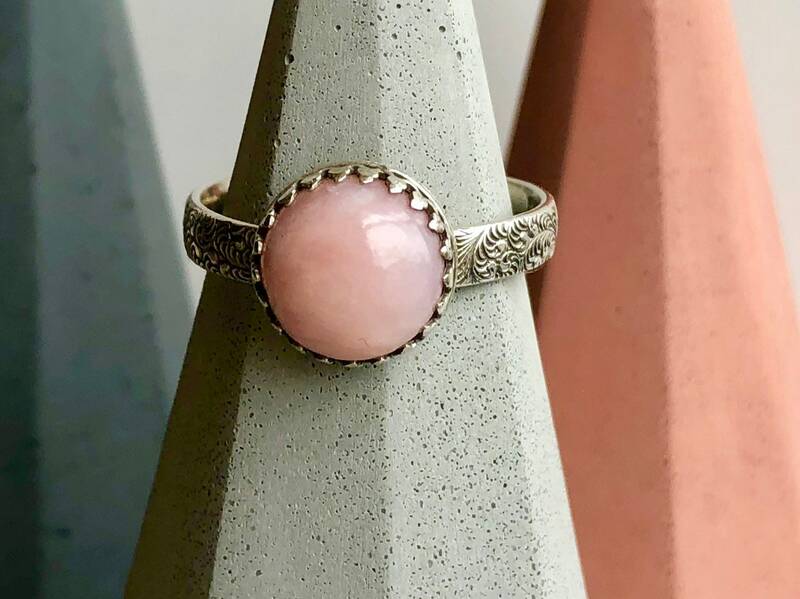 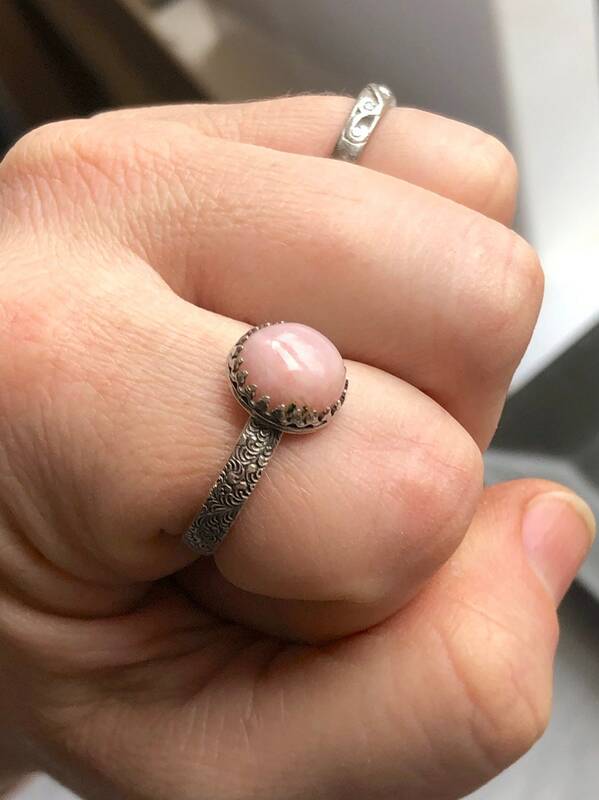 I have set this round, pale pink Peruvian opal on a refined, gracefully patterned band. 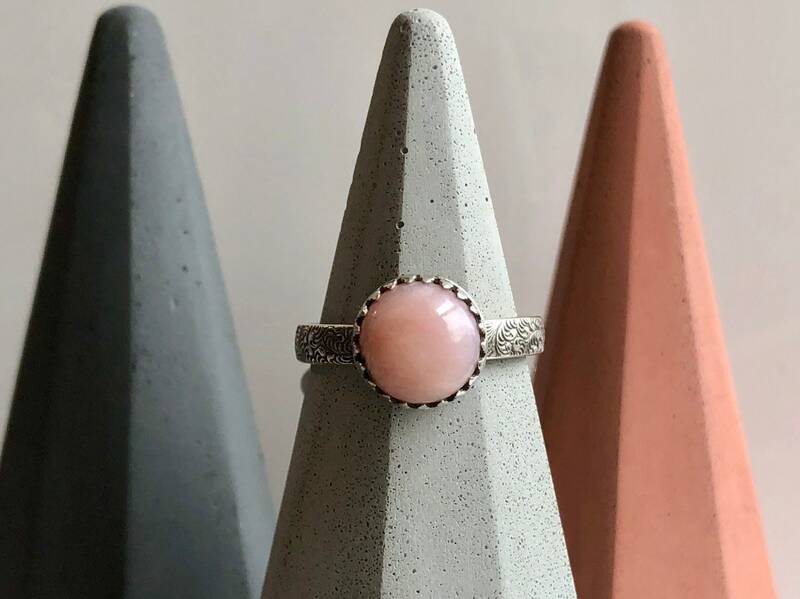 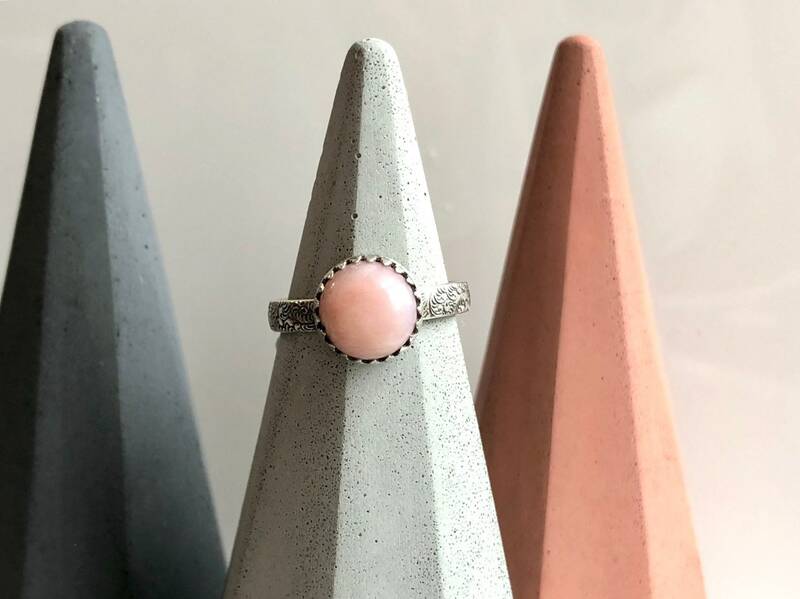 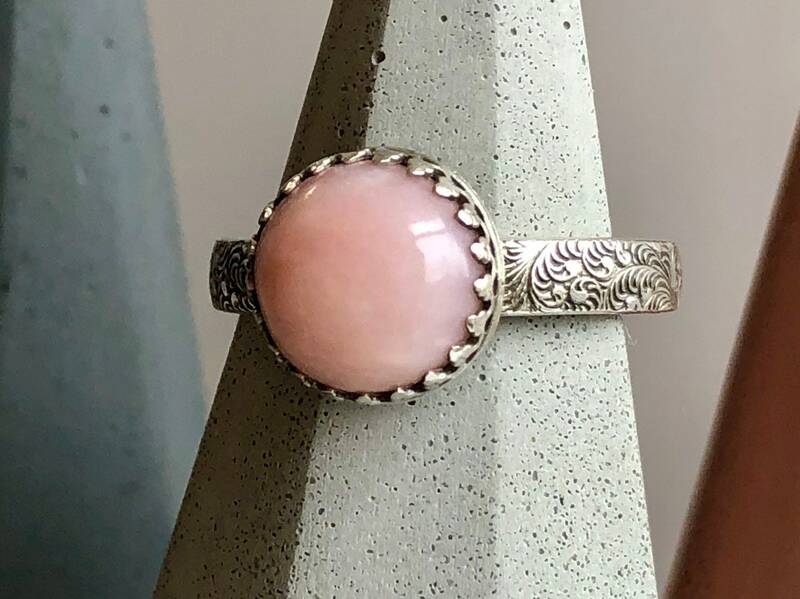 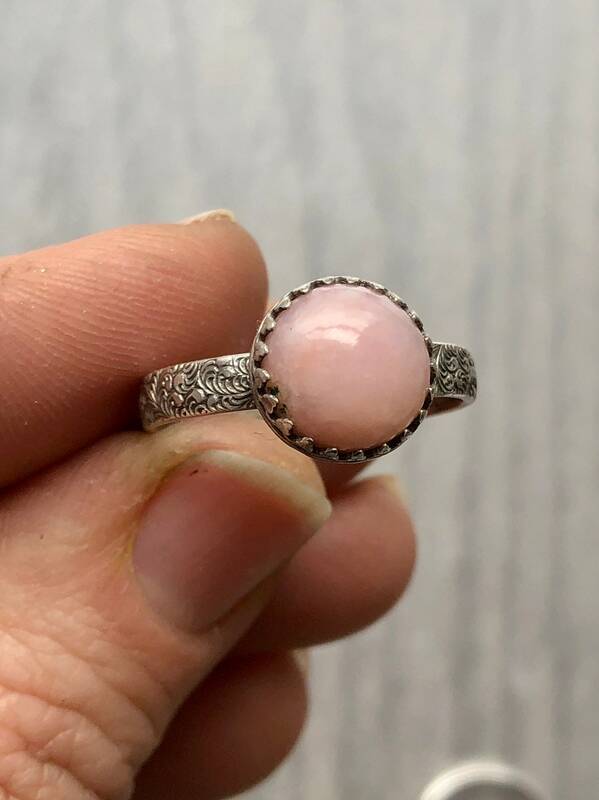 This dusky pink stone is framed with a prong-style gallery wire bezel. 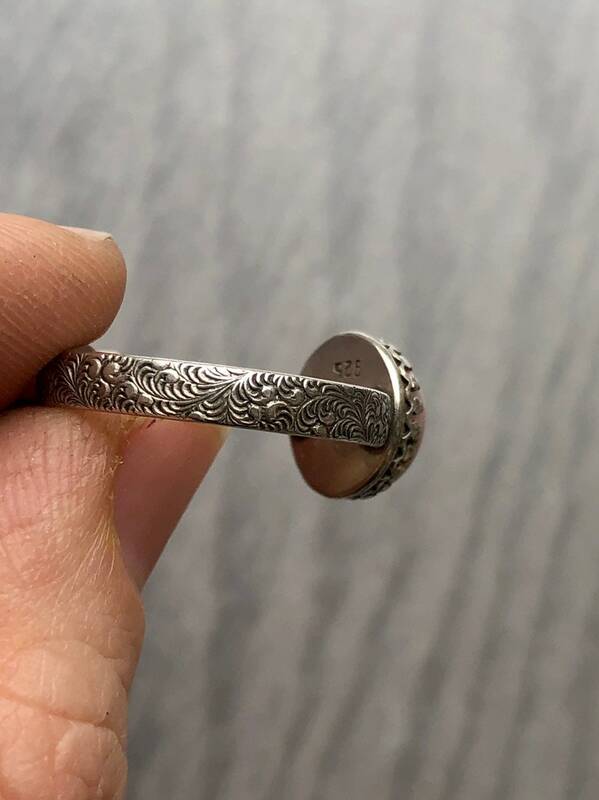 The band is exceptionally smooth and comfortable. 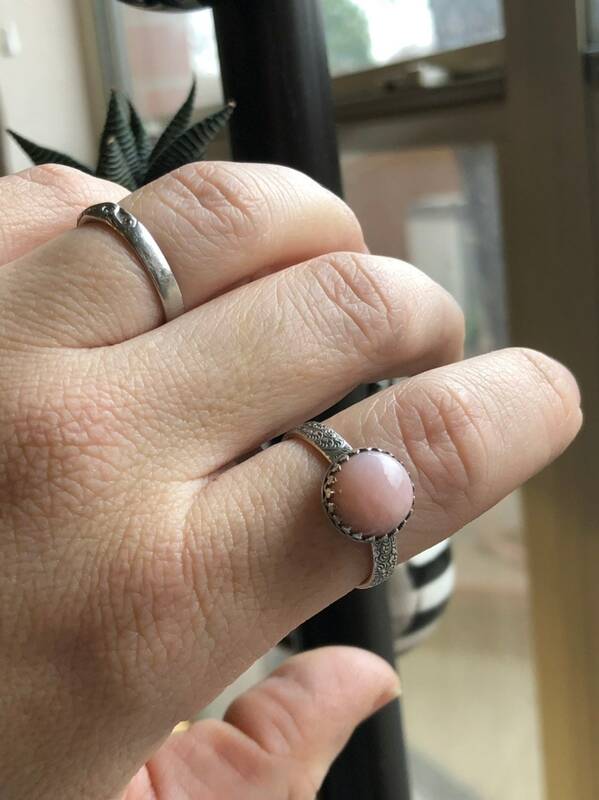 • The Peruvian pink opal is 10mm in diameter and is natural and untreated.